After all, you may have read our British Pie Week article and know that in British Pie Week 2013 we ate 50 pies between the three of us and Pierateer SJL went a day with #onlypiesallowed – where he only ate 3362 kcal of pie (11 pies and nothing else) for a whole day! Not everyone is quite that pie-crazy! 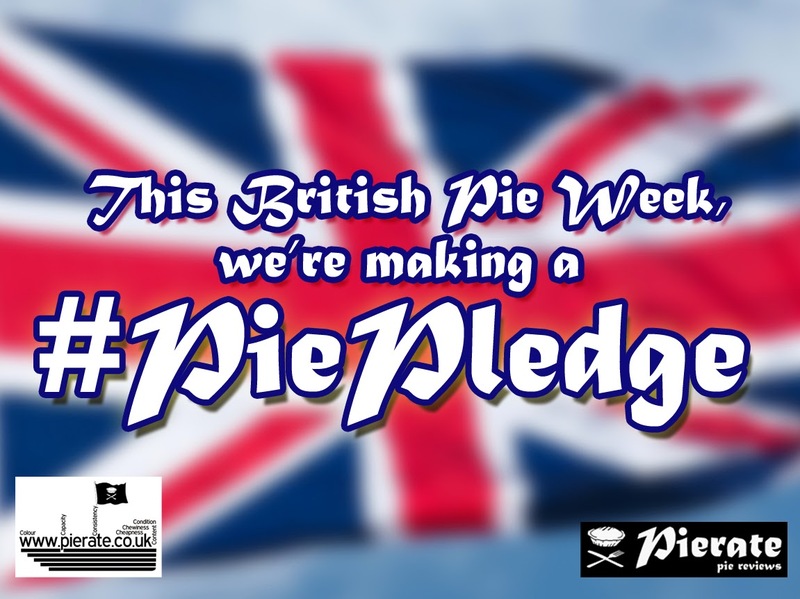 Last year in British Pie Week 2013 we introduced the #PiePledge as a way for pie eaters or pie makers to make pledges either before or during British Pie Week about what they are going to commit to do regarding pie. And with British Pie Week coming up soon, what better thing than make your #PiePledge ready for British Pie Week? Find out what the Pierateers have commited to do during British Pie Week by reading the list of Pierateers #PiePledge commitments! We hope we’ve provided some ins-pie-ration for your #PiePledge and look forward to unveiling some of our #PiePledge ideas live on air on BCfm Radio when we appear in the studio on Wednesday 26th February – the week before British Pie Week! You will be able to listen in on your lunch break from 1-2pm by going to www.bcfmradio.com/player or catch up from Wednesday evening by going to www.bcfmradio.com/food to hear from Pierateer RAS and the Pierateers plans for British Pie Week! You can tweet your #PiePledge to @pierateers or leave a comment below - but more than anything, enjoy your pies in British Pie Week! I have my #piepledge @pierateers @AshleighAuld I will make a pie from scratch AND to prove I have done this I will send you photos! @pierateers our #piepledge #BritishPieWeek is to make sure that all our pies are full to the brim - no air gaps allowed! Here is Daniel's which is impressive! My #PiePledge for #BritishPieWeek is to have a different pie for breakfast, lunch and dinner. How's that @pierateers?